Let’s face it, you don’t always want to use paper plates and cups. Sometimes you want to enjoy a glass of wine in an actual GLASS. 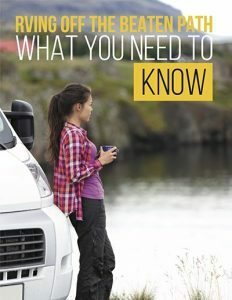 Just because you’re camping doesn’t mean you have to use paper and plastic. 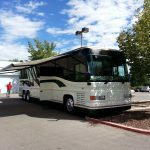 But how do you pack your RV to avoid shattering glass and clinking cups? Nowadays everyone is giving away promotional can Koozies. Collect enough for your camping adventure and tuck your glasses safely inside the Koozies. Pack away in a plastic or cardboard. Simple! Now your glassware won’t break, crack, or rattle! Dig through your drawer and gather your clean socks. 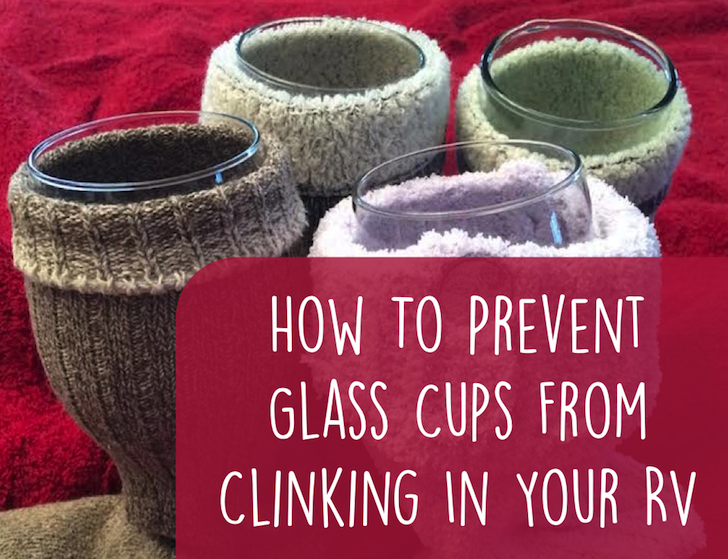 Slip each glass into a sock and then place the glasses in a plastic or cardboard crate. Ta da! Another easy camping hack. How do you do to keep your glasses secure? Share your ideas in the comments below!